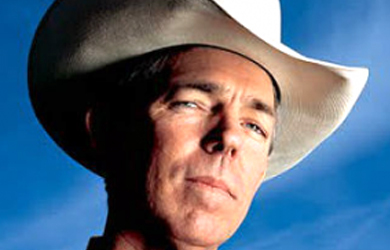 David Barton has been in the spotlight lately. In recent weeks, he was featured in a New York Times profile, interviewed on “The Daily Show,” and was even the focus on a long report we released chronicling his career of peddling right-wing pseudohistory for political gain. The upside of Barton’s recent high profile is that bona fide historians who, unlike Barton, actually have training and credentials, are starting to stand up to Barton’s flagrant and intentional misuse of history. Barton’s intent is not to produce “scholarship,” but to influence public policy. He simply is playing a different game than worrying about scholarly credibility, his protestations to the contrary notwithstanding. His game is to inundate public policy makers (including local and state education boards as well as Congress) with ideas packaged as products that will move policy. In short, perhaps the best way to understand Barton is as a historical product of Christian providentialist thinking, one with significant historical roots and usually with a publicly convincing spokesman. 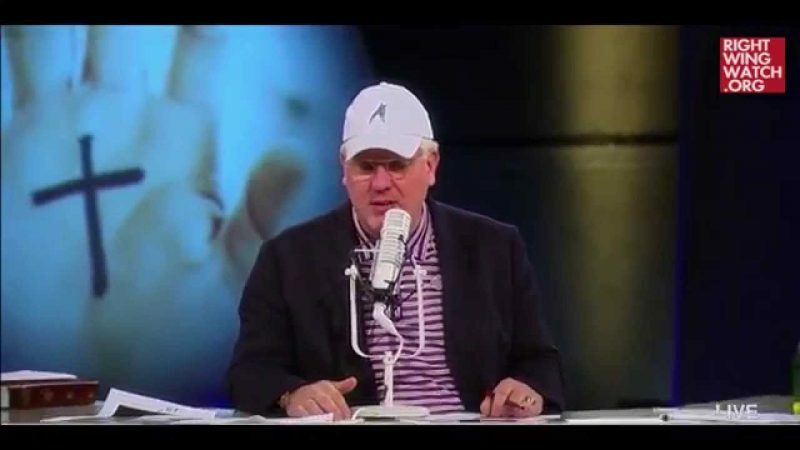 He is the latest in a long line of ideologically persuasive spokesmen for preserving American’s Protestant character … The Christian Nation “debate” is not really an intellectual contest between legitimate contending viewpoints. Instead, it is a manufactured “controversy” akin to the global warming “debate.” On the one side are purveyors of a rich and complex view of the past, including most historians who have written and debated fiercely about the founding era. On the “other side” is a group of ideological entrepreneurs who have created an alternate intellectual universe based on a historical fundamentalism. In their drive to create a usable past, they show little respect for the past as a foreign country. Barton does not recognized the idea that the past is like a foreign country. Instead Barton tends to flatten out time and space and make it almost seem as if the Founders are our contemporaries, motivated by the same concerns that motivate us now. Yet people in the past–whether we’re talking about leaders of Bronze Age tribes or bewigged 18th century nabobs who tinkered on their mansions, read Montaigne in their spare time, or enjoyed arm-chair speculation about nature and providence–are not the same as us. This seems like a kindergarten point, but it’s apparently lost on David Barton. Wallbuilders is a political organization that selectively uses history to promote a religious and ideological agenda. Barton believes that America’s last, best hope is a return to its so-called Christian roots. In his most famous book, Original Intent, Barton argues that the removal of Christianity from the public square has resulted in a rise in birth rates for unwed girls, a spike in violent crime, more sexually transmitted diseases, lower SAT scores, and an increase in single parent households. And he has convinced thousands and thousands of Christians that he is right. Barton claims to be a historian. He is not. He has just enough historical knowledge, and just enough charisma, to be very dangerous. During his appearance on The Daily Show, Barton impressed the faithful with his grasp of American history and his belief that Christians are being subtly persecuted in this country. But if you watch the show carefully, you will notice that Barton is a master at dodging controversial questions. He refuses to admit that sometimes history does not conform to our present-day political agendas. 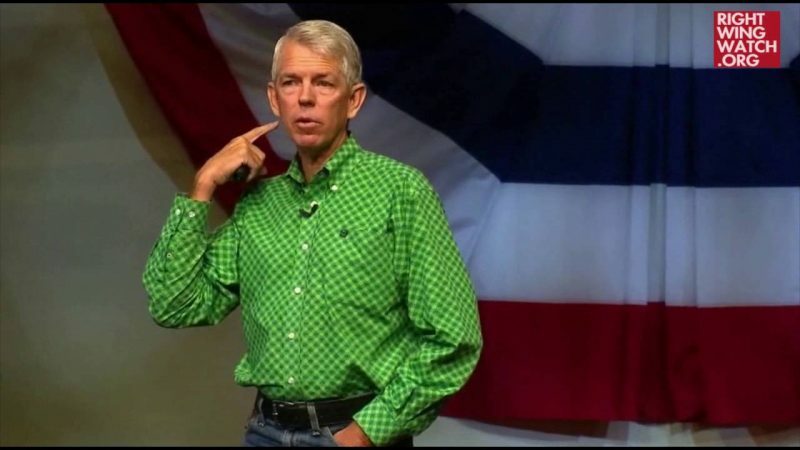 Here is the bottom line: Christians should think twice before they rely on David Barton for their understanding of the American founding. Let’s not confuse history with propaganda. As Fea says, “the more popular Barton becomes, the more his views will be debunked by what I am imagining will be an ever-growing chorus of critics” … but that task sure would be made easier if Republican leaders like Newt Gingrich, Michele Bachmann, and Mike Huckabee would stop actively embracing and promoting Barton’s pseudohistorical propaganda.